Although the lifts open next weekend (6th December) some people just can’t wait that long! 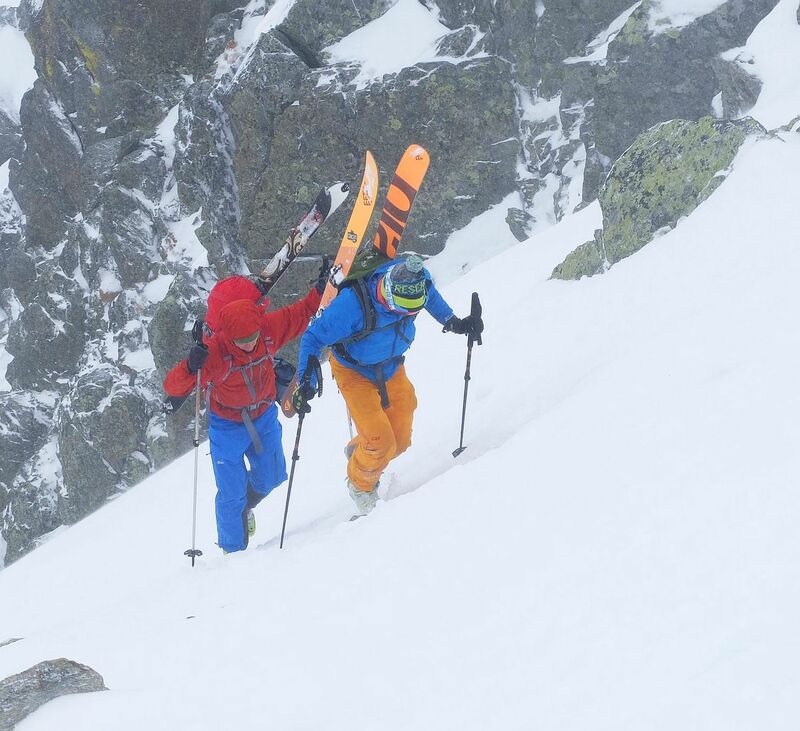 Our Facebook page has been inundated with photos of friends skinning up Les Grands Montets, Le Tour, Aiguille du Midi and over the border into Switzerland. 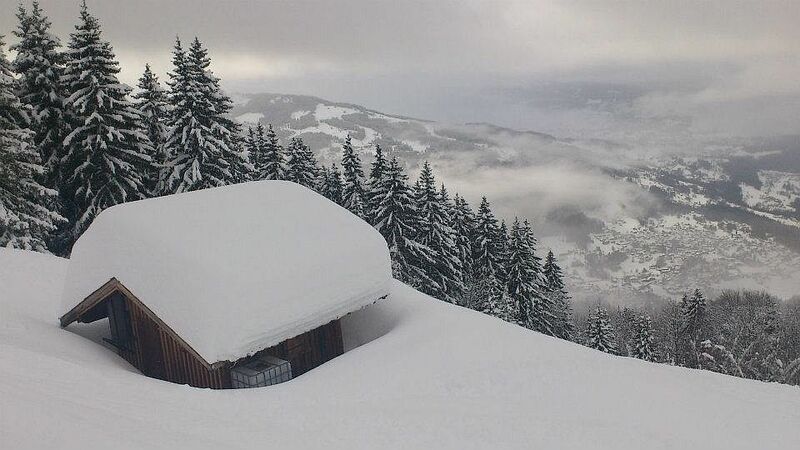 Although the lower half of the valley isn’t looking very white yet, conditions up top are looking positive – Le Tour has even had the piste bashers out already! The dark days of November seem to last even longer when you’re waiting for the ski season to start – what’s the point of winter if you can’t ski yet? So if you’re looking for things to do then you could head to the ENSA gym this weekend (the big building by the sports centre) for the Chamonix Climbing Open. Unfeasibly strong people will be competing for the French cup in technical climbing. It’s running on both Saturday and Sunday and is free to watch. Chamonix Hockey Club will be playing a match at 8:30pm next Friday against Caen in the Magnus League. Tickets cost 13€ (8€ for kids) and there is a bar at the rink serving food and drinks. Speaking of food… Café Bluebird is back open! 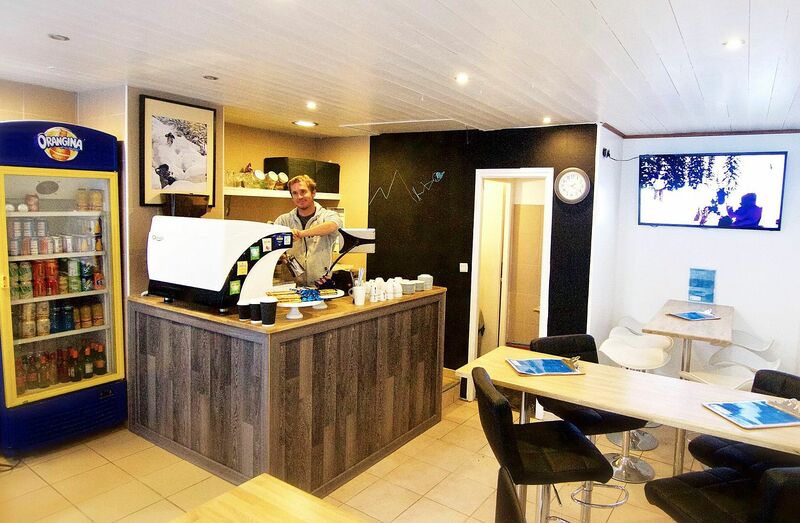 Opposite the Aiguille du Midi lift station (and close enough for us to shout our order out of the Mountain Lifestyle office window) they serve freshly made breakfasts, lunches and snacks including proper bacon butties, Cumberland sausages, tasty cakes and good coffee. Become a regular and get 20% off with a loyalty card. Not long to wait now before we can bring you our first proper snow report of the winter – 7 days and counting until the season kicks off for real. 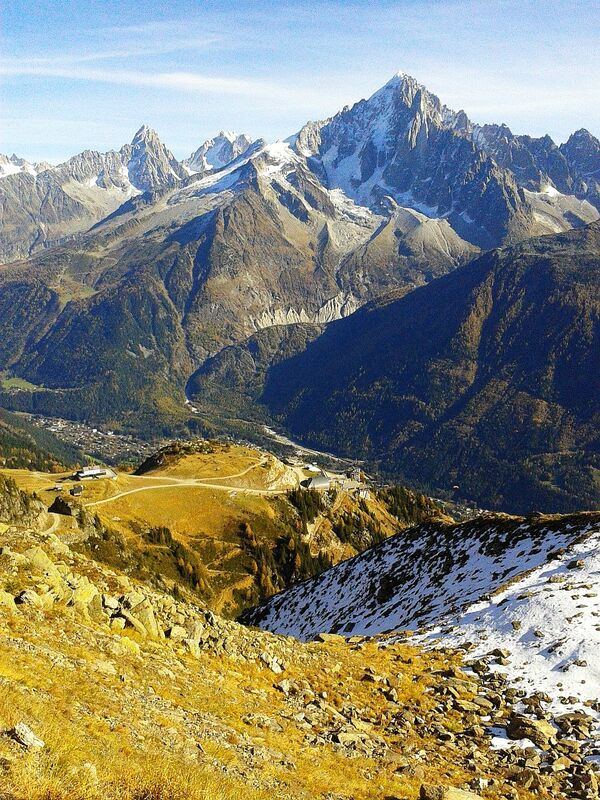 In the meantime, if there’s anything you want to ask us about Chamonix feel free to drop us a line. 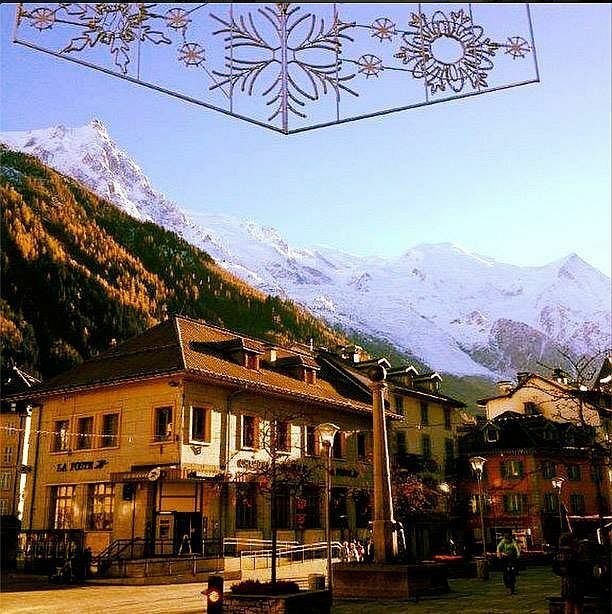 The lifts may not have opened just yet but more snow has been falling and Instagram has been inundated with charming pics of Chamonix looking like a Christmas card. The snow line has been coming down tantalisingly low, with the snow pack settling at about 1200m so far; there is apparently about 50cm at the 2000m level so the base is looking good for this time of year! Possibly just as exciting (depending on your point of view) is the news that the cherry pickers have been trundling round town, stringing up the Christmas lights! They’re not lit yet, the big switch-on won’t be until December but it still feels very festive. With all this early snowfall there’s been talk of early lift openings… we can’t confirm anything yet but when we do, you’ll be the first to hear about it. 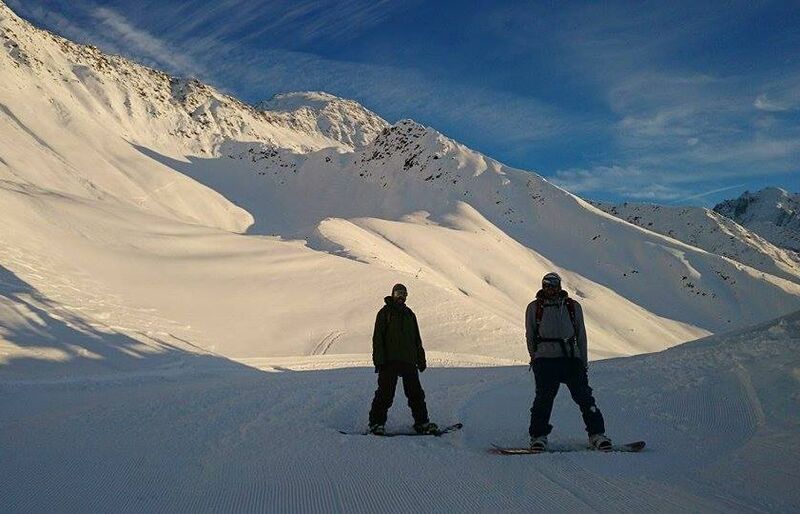 The first areas to open are Les Houches and Les Grands Montets on 6th December. The new lift station at Les Grands Montets is coming on nicely and the new gondola cabins are waiting to be put to the test before they officially open to the public. In the meantime, don’t forget that you have just 3 days left to save a tidy 20% on your Mont Blanc Unlimited lift pass. If your holiday falls between 10th January and 6th February or from 7th March to 10th April, you are eligible for this exclusive early bird discount. This offer is not available online and will not be available when you arrive in Chamonix, so contact us on info@mountain-lifestyle.com before 6pm on 24th November to book. The offer is valid on all Mont Blanc Unlimited lift passes, on a typical 6 day adult pass you’ll save 71.20€ so make sure you don’t miss the deadline. A rather clever weather boffin has predicted what conditions we’re going to get over the following 9 months and, most importantly, how much snow will fall this winter. We’ve given it the once over and it definitely meets with our approval, lots of snow from November until March and then the sun will put his hat on. We’ll have some of that, thank you very much. Here’s our rough translation of his 9 month weather forecast for those of you who don’t speak French. You’re welcome. June – “souvent perturbé en courant d’Ouest entre des périodes ensoleillées très chaudes” – will chuck it down for the Cross du Mont Blanc, then be stinkingly hot the very next day for the Marathon du Mont Blanc. It’s kind of a tradition. If you doubt the integrity of our interpretation, or you just wish to read the original weather forecast in French, then you can find it here. Don’t forget, if your winter holiday falls between 10th January to 6th February or from 7th March to 10th April you now have just a couple more weeks to save 20% on your Mont Blanc Unlimited lift pass. This offer must be booked through Mountain Lifestyle before 24th November, you can not get it online or in resort on arrival – don’t miss out! Contact us on info@mountain-lifestyle.com for more details. 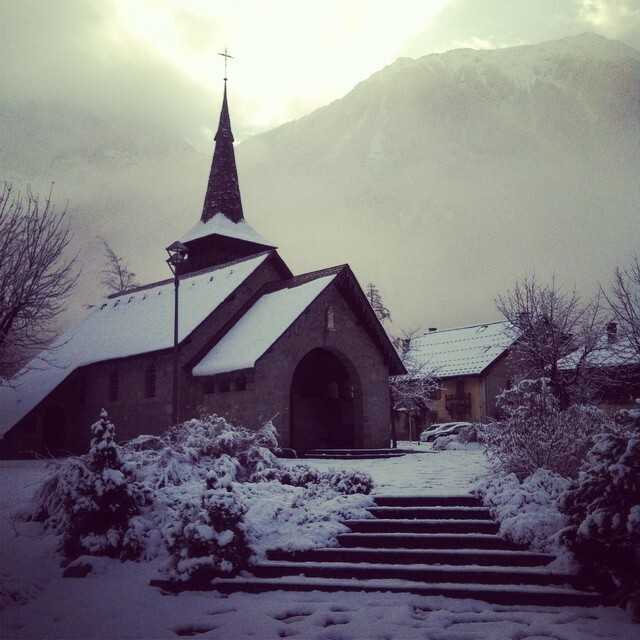 What’s New in Chamonix for Winter 2014/15? Inter-season is truly upon us. 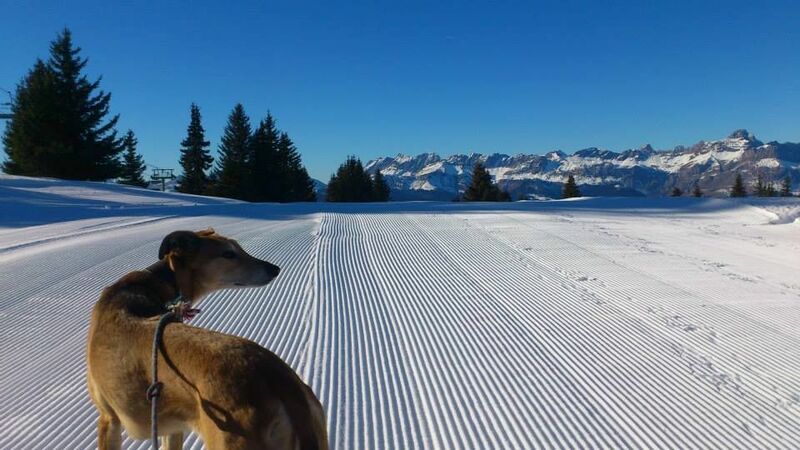 The Brevent-Plan Praz gondola closed last weekend, on a glorious note. We had one last hike up to Lac du Brevent and were gobsmacked by the golden autumn colours, dotted with patches of fresh white snow. There were so many people up there making the most of the beautiful weather; parapenters, hikers, rock climbers, mountain bikers, and those who’d just come to flop on the grass and soak up the view. We had our first proper snowfall of the season on Wednesday, thick fluffy snowflakes the size of pizza dishes (almost) were falling from the sky all day long. Have a look at the Chamonix webcams to see what all the excitement is about. 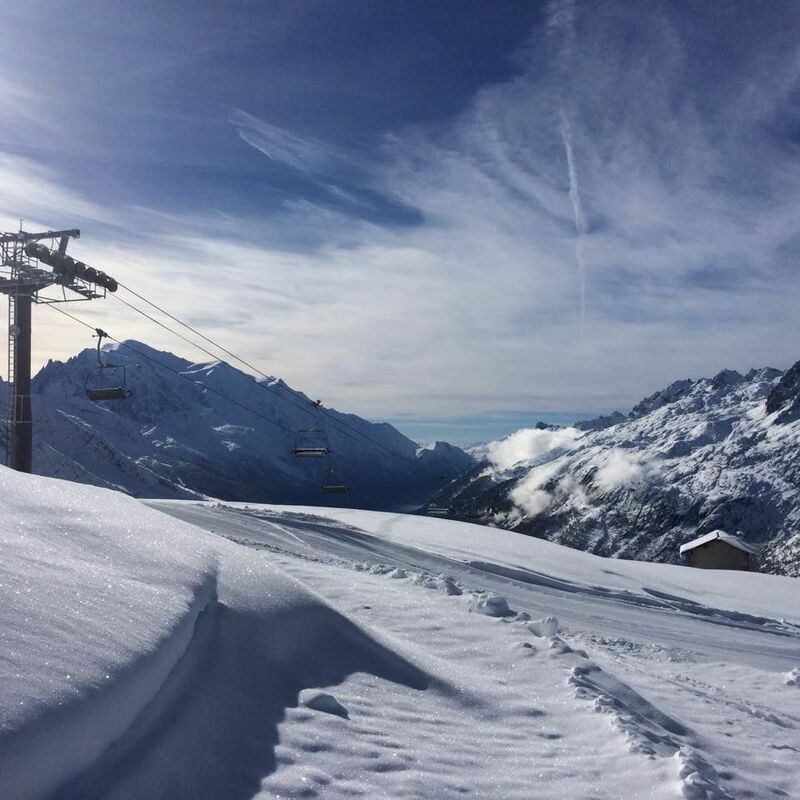 We can’t wait for the season to start properly now, so we’ve been having a look at what’s new for Chamonix this winter. New 10 seat gondola from the car park up to Plan Joran, replacing the creaky old chairlift. More comfortable and, more importantly, faster access. Will come into play at the end of this year. Facelift for the mid-station, redesigned to be a warmer and nicer place to hang around in while you’re queuing for the top bin. New cabins on the cable car from Argentiere to Lognon. Not to be outdone by the swanky new gondola, the cable car is also getting a makeover with panoramic scratch-resistant windows. Automatic doors mean that the lifties will no longer have to heave them closed while a cabin full of people pushes and shoves to be first out. Capacity remains the same. Boardercross – the snowpark is getting further improved with the addition of a boardercross. Your skilful handling of the twists and berms will be caught in all their glory on video and then posted online. No pressure. Ice Fairies & Ancient Curses – this sounds a bit bewildering to us but, if we’ve understood it right, we think there’s going to be an enchanted snow park with obstacles, games, magical characters and the like. Or we could be wrong, wait and see. Boardercross – another new boardercross for the valley, this one down the side of La Trappe. Designed by Ho5 and wide enough for 2 skiers and 2 snowboarders to race side-by-side. Perfect corduroy – introducing the brand new Pistenbully 600E+ piste basher that will be grooming Brevent to perfection this winter. The icing on the cake is that it is the first “hybrid” piste basher, using a combo of diesel and electric to make it more eco-friendly. Slalom Course – a new slalom course open to skiers and snowboarders that may give you a touch of stage fright. Not only will your run be timed, filmed and posted online but it will also take place right under the Parsa chairlift. Train – the local train service will once again run all the way to Vallorcine, stopping right at the bottom of the Balme gondola. Free with your “carte d’hote” and much more civilised than cramming on to the bus. Ski Camp – a new area where kids can learn about the local environment and wildlife, monitors will organise regular games and treasure hunts so check out what’s happening next time you’re up there. Slalom Course – another new timed and videoed slalom course, this one on the famous Verte des Houches piste that is used for the Kandahar World Cup. Get a mate to stand at the bottom with a cowbell and pretend you’re on Ski Sunday. New elevators – the old elevator to the summit has been retired and will be replaced by two new ones. This unfortunately means that the glass box “Step Into the Void” will be closed all winter. Viewing tube – circulation around the viewing terraces is to be improved by something that looks like it belongs in a giant hamster cage. Work will be carried out all winter, so expect some restrictions around the area of the Rebuffat terrace. New cabins – the top two cabins have been replaced and now have bigger panoramic windows for your viewing pleasure. They’ve also replaced the cable which won’t affect your ascent in any way, other than give you greater piece of mind when the wind picks up. Igloo Village – as well as the usual ice cave there will also be an igloo village overlooking the glacier. With Santa’s grotto also being open from 13th December, the Mer de Glace will be a magical place to take the kids this Christmas.